Jonti-Craft’s Rainbow Accents Stackable Lockers have different locks and keys for secured lockers. Save money with double or triple stack. 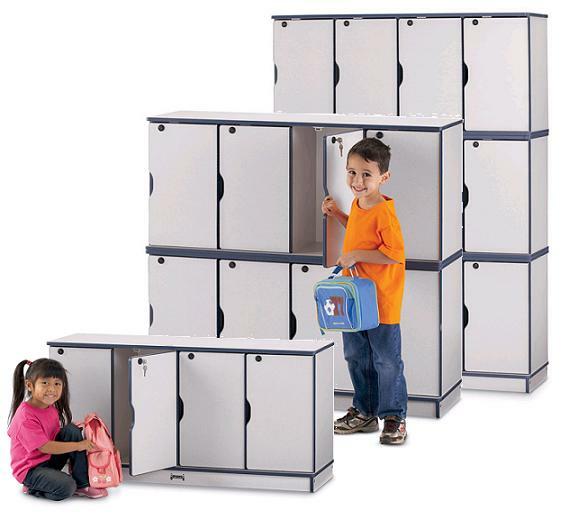 Individual lockers are 10½” wide x 12½” deep x 20” high. 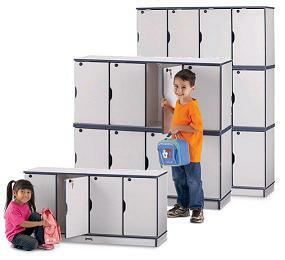 Stacked lockers must be fastened to a wall. Each unit is 48½” wide x 15” deep.